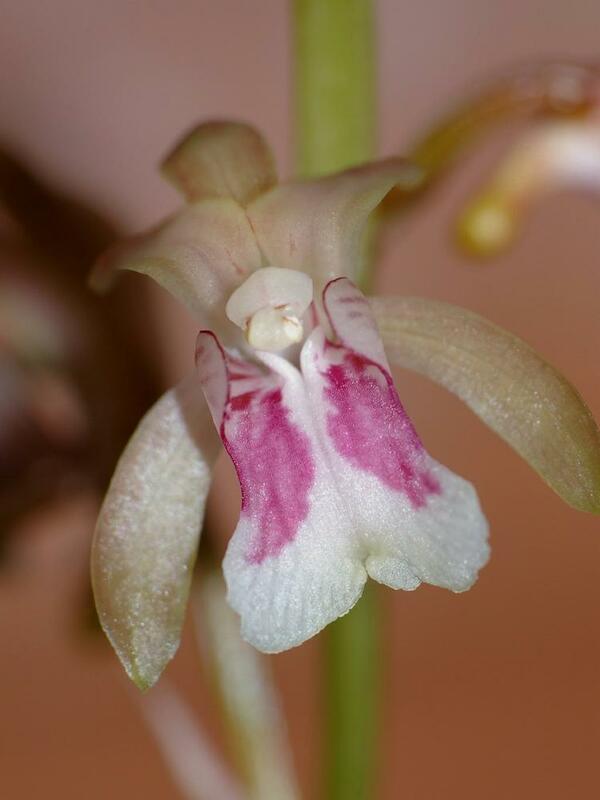 Oeceoclades is a genus of terrestrial, rarely epiphytic, orchids ranging from Africa and Madagascar, the West Indies and tropical America. The stem is modified into a pseudobulb, often concealed by overlapping, fibrous sheaths with leathery, dark green patterned leaves. The inflorescence arises from the base of the pseudobulb with several resupinate flowers with sepals and petals that are distinct and free. 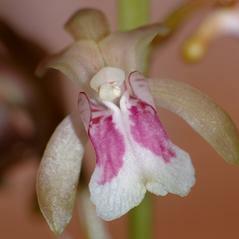 The callus on the flower is white with a curved spur and the labellum is deeply 3-lobed. Some species within the genus can self-pollinate.